Inside, however, the restaurant will feature a variety of entrées priced from $12 – $18. Mr. May distributed a tentative menu. The restaurant expects to stay open until 11:30 or midnight on weeknights and until midnight or 1 am on weekends. As for the adjacent empty lot on 6th Street, Mr. May offered to buy it, but says the owner demanded $1 million, which is far too much for a vacant lot of that size. While Shaw’s Tavern will occupy the first floor, the restaurant will rent out three one-bedroom apartments upstairs and expects to have them ready by May. 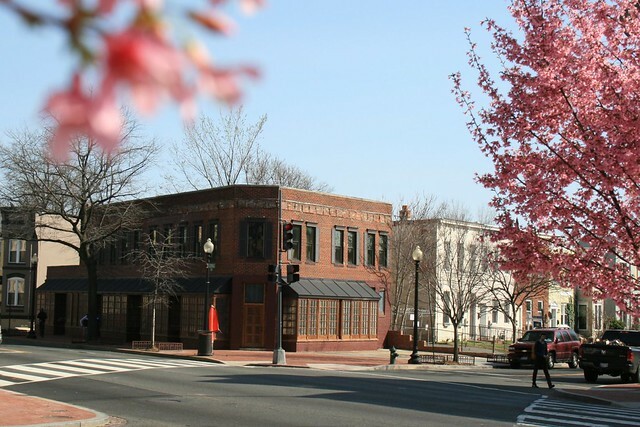 Located in a historic building in the heart of Clarendon, The Liberty Tavern features modern American cuisine in its upstairs dining room and downstairs bar, along with a diverse wine list, creative specialty cocktails and a great selection of premium draft and bottled beer. Our comfortable ambiance is enhanced by warm, hospitable service, and whether you’re joining us for a round of drinks in the bar, a casual midweek supper with your children, or a special evening with friends and family, you’re sure to feel at home. 512 Florida Avenue sits at the southeast corner of Sixth Street and Florida Avenue, just across the street from LeDroit Park. You may have noticed some construction work going on recently. 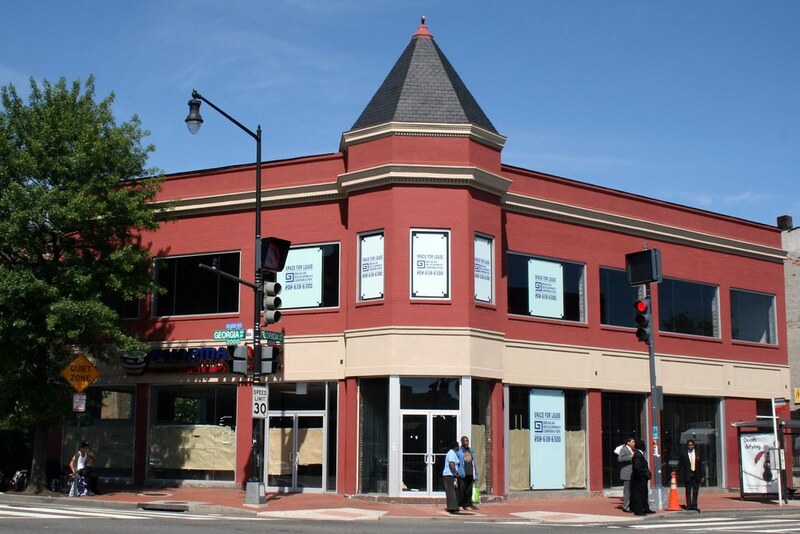 Indeed, TBD reports that Mr. Abbas Fahti recently bought the building for $500,000 from Howard University and is renovating it to include housing and retail space. The top floor will include two one-bedroom apartments and one two-bedroom apartment. The entire ground floor will be cleared out to make one single retail space. While Mr. Fahti doesn’t have a tenant lined up, we’re hoping for a tavern or cafe. We’ve thought about the building before and its many virtues as a sit-down food establishment. First, it’s located at the boundary of Shaw and LeDroit Park, so it can legitimately claim to serve both neighborhoods. It’s also located along Florida Avenue, a street whose traffic will also generate business from passersby. When the weather is nice, the extraordinarily wide sidewalk on the Sixth Street front will provide ample room for outdoor seating. Hear ye, barkeeps and baristas: this is your chance! The following is a Washington Times article from 1903. 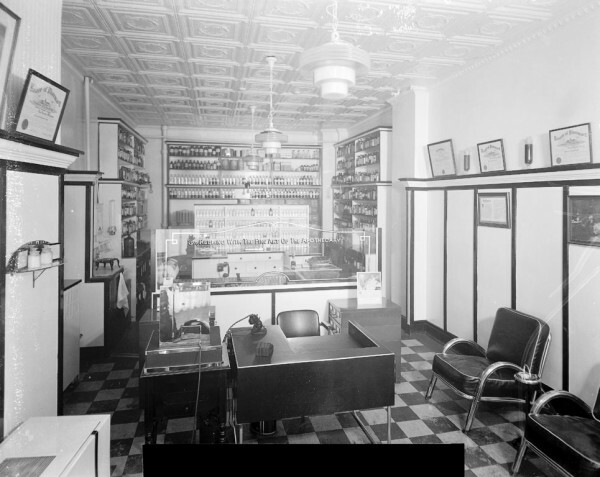 The article explains some of the early history of the neighborhood and even includes three photos, the first of which was misidentified as Fifth Street, though we have actually matched it up with Second Street. We have included a few links to related information. Second Street opposite the Anna J. Cooper House. In that portion of Florida Avenue between Seventh Street and Eighth Streets northwest where the street cars of the Seventh Street line and the Ninth Street line pass over the same tracks, thousands of passengers are carried every day, and probably but a few if any realize the fact that they are passing over a road older than the organization of the city, a road that dates back to the Revolutionary period— the Bladensburg Road, which connected Georgetown with Bladensburg before the location of the National Capital was determined. The Map on the Wall. If the people passing this point will note the little frame building occupied by a florist, 713 Florida Avenue northwest, they will observe that in front of these premises and fastened to the blacksmith shop adjoining is a goodly sized signboard on which is painted an old map of this section and showing the intersection of the old Blandensburg Road and Boundary Street, now known as Florida Avenue. From this map it is seen that Seventh Street Road [now Georgia Avenue] intersects Boundary Street and the old Bladensburg Road at a point about 100 feet east of where the two roads join at an acute angle, and glancing along the lines of Boundary Street and the north lines of some buildings which have been erected in this angle we easily see the direction of the Bladensburg Road and discover that the small building 713 Florida Avenue northwest marks the spot where the Bladensburg Road deflected from Boundary Street and bore off in a northeasterly direction toward Bladensburg. Once Part of Jamaica Vacancy. 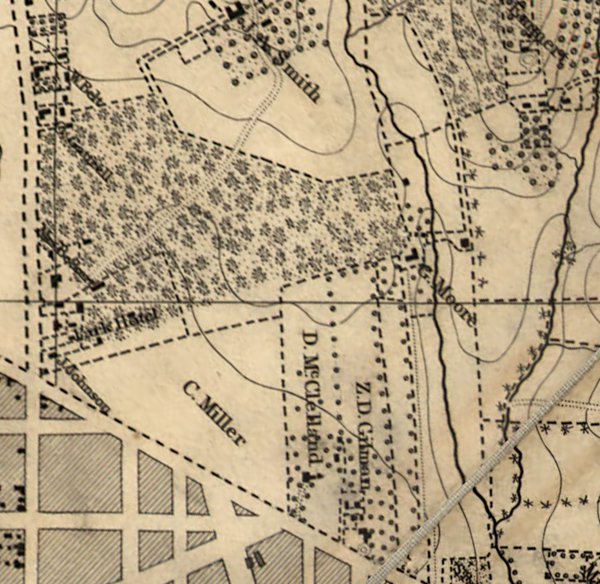 The map referred to is said to be a portion of [the estate named] Jamaica and and Smith’s Vacancy, but if we examine the plats in the office of the Surveyor of the District we will hardly find on file any plats of those sections, but may learn that Le Droit Park was once part of Jamaica and Smith’s Vacancy and possibly a portion of [the estate named] Port Royal. Prior to the cession of the territory now included in the District from Maryland the land known as Jamaica was owned by one Philip R. Fendall, of Virginia. He conveyed this tract of 494 acres on the 12th day of January, 1792, to Samuel Blodgett, jr., of Massachusetts, and from this point the title of the land can be traced down to the present time. The names attached to the different vacancies establish the names of the various owners of lands adjoining Bladensburg Road at the time it was abandoned as a thoroughfare and taken up as a portion of the farms in that section, and the presence of this old road accounts for some of the peculiar lines in some of the northern boundaries of some of the lots in Le Droit Park. This road crossed Second Street at a point north of Elm Street here. The old plats show Moore’s Vacancy. The road finally joined the present road to Bladensburg at a point where the sixth milestone of the norther line of the District was located. It is probable that this peculiarly natural boundary of some of the lands which afterward became Le Droit Park may have had something to do with the strange lines which are found in the streets of that suburb, although it was not the intention at the time that Le Droit Park was subdivided to have the streets conform with the city streets. During the civil war the territory now contained in Le Droit Park was used as the site of Campbell General Hospital, one of the important hospitals near Washington. The hospital comprised some seventeen separate wooden buildings, erected in the form of a hollow square, with the central portion divided into irregular spaces by buildings cutting across the inclosure and connecting the outside buildings. The larger dimension of this hospital was fro north to south, and extended from Boundary Street, now known as Florida Avenue, on the south, to the land occupied for many years as a baseball park, situated south of Freedman’s Hospital, and designated on some of the old maps as Levi Park. 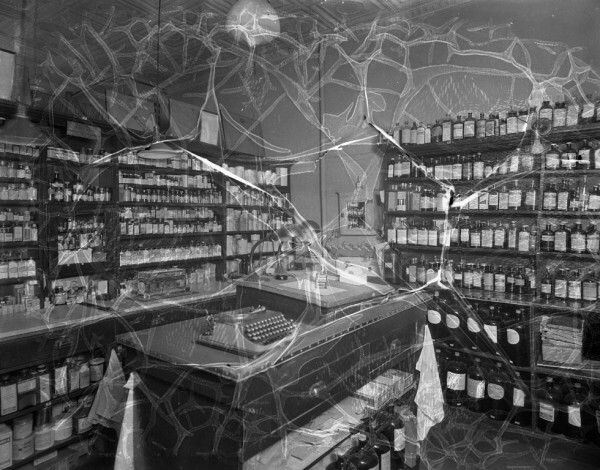 From east to west the hospital covered the ground from Seventh Street to what is now known as Fifth Street in Le Droit Park, and it is possible that a portion of the space between Fifth Street and Fourth Street was also included in the hospital inclosure. At this time there were only two dwellings in the tract known afterward as Le Droit Park— the McClelland and Gilman homestands. Each included about ten acres of land used for grazing and garden purposes. The McClelland property and the Gilman property were divided by a row of large oak trees which were situated about fifty feet apart and continued from Florida Avenue, then Boundary Street, to the northern line of the park. To the east of the Gilman tract was a narrow strip of land known as the Prather tract. East of this was Moore’s Lane, now Second Street, and still to the east was the tracts of the Moores, George and David, covering the territory as far east as the present location of Lincoln Avenue [now Lincoln Road], on which was located Harewood Hospital, another hospital of considerable note during the civil war. T.R. 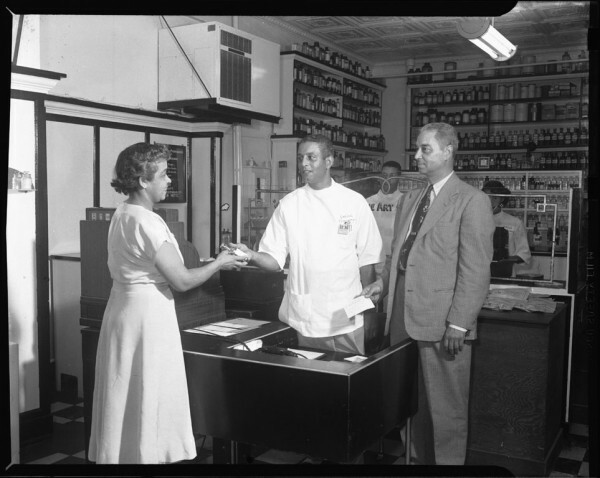 Senior, who was commissary at Campbell Hospital, returned to the city some twelve years after the war closed and purchased a residence at the corner of Elm and Second Streets, where he now resides. Members of the family of David McClelland now occupy the old homestead on Second Street. Following the close of the war it became necessary to provide for such of the freedmen as were in need of assistance. Campbell General Hospital was occupied by the freedmen until August 16, 1869, when the patients were transferred to the new Freedman’s Hospital, which has been erected in connection with Howard University. The property upon which Freedman’s Hospital stands consisted of a tract of 150 acres and was purchased from John A. Smith. In April, 1867, Howardtown was laid out and soon after some 500 lots were sold, and at this time it seems that the idea was conveyed that streets would be opened to the south through the Miller tract. 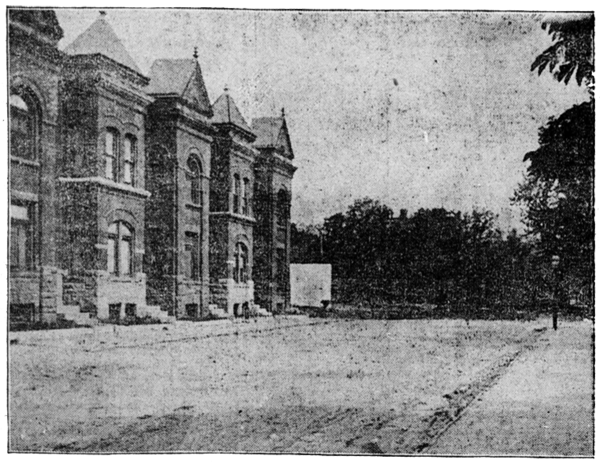 In April, 1870, the Howard University purchased the Miller tract, and laid out streets to connect the streets of Howardtown with the city streets, and a little later built four houses on the line of what is now known as Fourth Street and in 1872 subdivided the Miller tract, but for some reason the plat was not recorded. 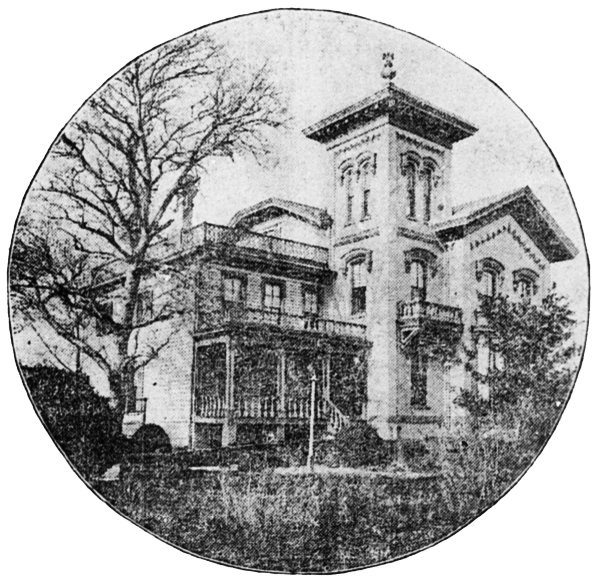 In 1873 the Miller tract was sold by Howard University to A[ndrew] Langdon, and a short time afterward A[mzi] L[orenzo] Barber, formerly secretary of Howard University, became associated with Langdon and hs partner, and by arrangements with D[avid] McClelland, all of the three tracts known as the Miller tract, the McClelland tract, and the Gilman tract were united and subdivided, and in June, 1873, a subdivision known as Le Droit Park was placed on record in the surveyor’s office. A subsequent plat was filed some eighteen months later, in which the proprietors of the subdivision declared it to be their purpose and intention to retain and control the ownership of all the streets platted, and the right to inclose the whole or any portion of the tracts or tract included in the subdivision and to locate and control all entrances and gates to the same. During the autumn of 1876 A. L. Barber & Co. commenced the erection of fences across the north line of Le Droit Park, and from this time until August, 1891, fences were maintained along the northern line of the park. 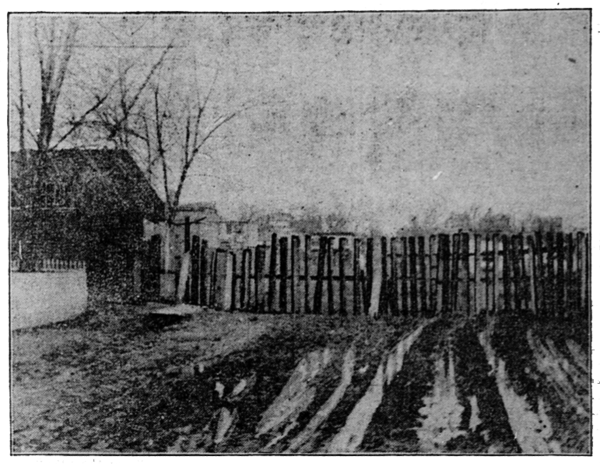 From 1886 to 1891 frequent fence wars were in operation. The fence across what is now Fourth Street would be removed by one party, and the opposing party would secure an injunction and restore it. This mode of procedure was repeated at various times until in 1901 a compromise verdict was agreed upon by the two factions and the fence was removed, Fourth Street was improved north of the park, and the streets of the park passed into the control of the city after a period of some eighteen years of private ownership. The organization of Le Droit Park, under the limitations of the plat filed in 1873, was a peculiar experiment, that of the founding of an independent suburb adjoining the city. the southern line of the park was inclosed with a handsome combination iron and wood fence, some of which may now be found on the southern line of the McClelland property. Buildings were erected with plenty of room around them, and during the period from 1873 to 1885 the larger part of the buildings were planned and erected by James H. McGill. Double houses were quite common, but it was not until 1888 that such a thing as a row of houses were known in the park. Before control of the streets was surrendered to the city the conditions existing in the park resembled closely those found in small country towns. Many of the inhabitants owned cows, which were pastured upon the vacant lots; the women “went a-neighboring,” and the social life savored strongly of a village, and yet it was near the city. The express and telegraph messengers, however, always collected of residents an extra fee for the reason that they lived out of the city. With the opening of the streets and the introduction of street cars the park soon lost its former characteristics and became part of the city with all of its advantages and disadvantages. The opening of Rhode Island Avenue [from Florida Avenue eastward] spoiled in a measure the former beauty of the McClelland and Gilman homesteads, although there is still much more ground remaining in both of these old tracts that many people would care to own. The opening of Fifth Street will, to some extent, divide the traffic which now finds a way through Fourth Street. Sixth Street ends at Spruce Street [now U Street], and further progress seems barred by the residence, 601 Spruce Street, and there seems no immediate chance of the extension of Third Street above its present limit [at V Street?? ], where progress is barred by a high fence decorated with the advertisement of a prominent firm. The old names of the streets of the park, such as Harewood Avenue [now Third Street], Maple Avenue [now U Street], Moore’s Lane [later Le Droit Avenue, then Second Street], Linden Street [now Fourth Street], Larch Street [now Fifth Street], Juniper Street [now Sixth Street], and Bohrer Street [still extant], are nearly forgotten, and have passed away with the fence and its period. The names of the city streets have taken their places, and with the growth of the population the country life and country scenes have given way to those of the city. It’s confirmed. A 7-11 is coming to the corner of Georgia and Florida Avenues just outside the LeDroit Park Historic District. Douglas Development Corporation, the building’s owner and one of the city’s biggest developers, has confirmed to our ANC commissioner that 7-11 has signed a lease for part of the first floor space. 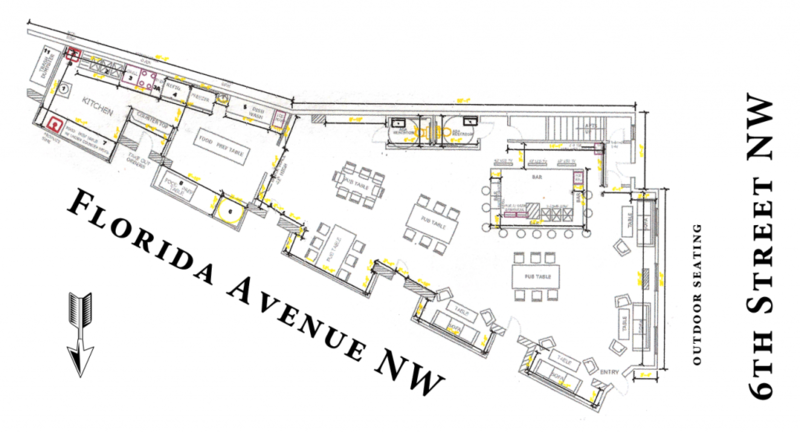 Pharmacare, which has not opened yet, occupies the Georgia Avenue front on the first floor (photo above, left side) and 7-11 will occupy the Florida Avenue front (center and right side). The choice of leasing the space to 7-11 has sparked a small controversy as many residents were hoping for something a tad more upscale than than discount drugs (you can buy the illegal kind a block away at the corner of Seventh & T) and a chain convenience store. Some residents have expressed the desire to see a cafe, gym, or a full-fledged grocery store open up in or near LeDroit Park. The LeDroit Park Market does indeed sell coffee, but residents looking for an espresso fix have to wander on over to the Starbucks at W Street and Georgia Avenue. There are rumors of a cafe coming to the old Pyramids Restaurant space in the building currently under renovation at Sixth Street and Florida Avenue, but we haven’t received details yet. The siting of a grocery store is more difficult. The nature of grocery shopping tends to require parking more so than most other commercial uses do, so any grocer would probably only consider spaces with underground garages or outdoor lots. 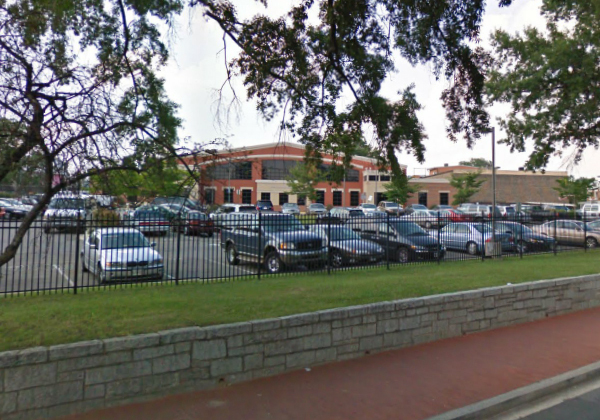 Few properties nearby meet this requirement, except for the United Planning Organization headquarters at Second Street and Rhode Island Avenue (pictured below). For decades it was a Safeway, but since UPO has no plans to move, we can rule out the building as a potential site. 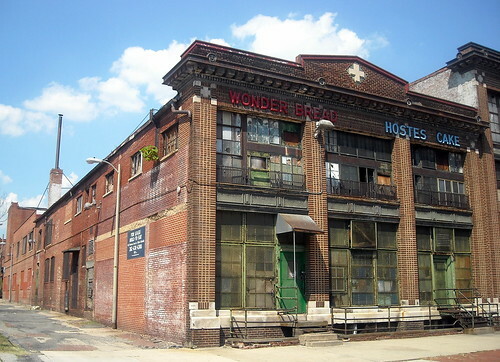 Another potential site might be the Wonderbread Factory (pictured below) on S Street by the north entrance to the Shaw Metro. It’s currently owned by Douglas Development, but has been vacant for quite a while. At nearly 40,000 square feet over two floors, the building might be a good candidate for a grocery store. With the UNCF headquarters about to break ground this summer just across the alleyway, perhaps the two developers could come to an agreement to provide some underground spaces to patrons to a potential store next door. The O Street Market project, supposed to bring a 57,000-square-foot Giant is still years away as is the proposed grocery store for the parking lots at W Street and Georgia Avenue. 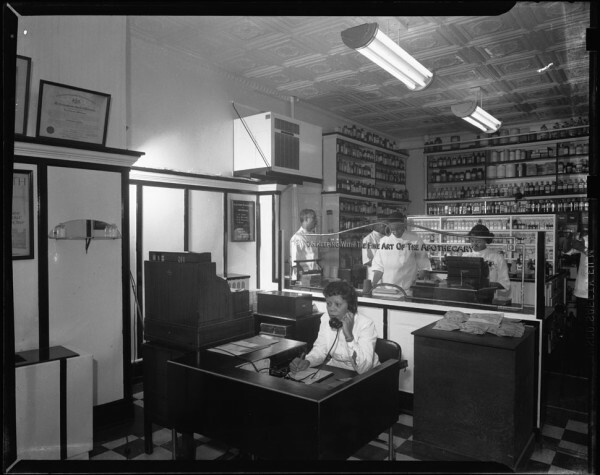 Any potential grocer might fear an over-saturation of competition. What amenities would you like to see in or adjacent LeDroit Park? What a difference twenty-one years make. Below are two satellite photos of LeDroit Park— one taken in 1988 and the other taken in 2009. Toggle back and forth between the two to see how the neighborhood’s footprint has changed. Howard University Hospital built an annex behind the main hospital building. The entire block bounded by Fourth Street, Fifth Street, V Street, and Oakdale Place is now a multi-level parking garage. 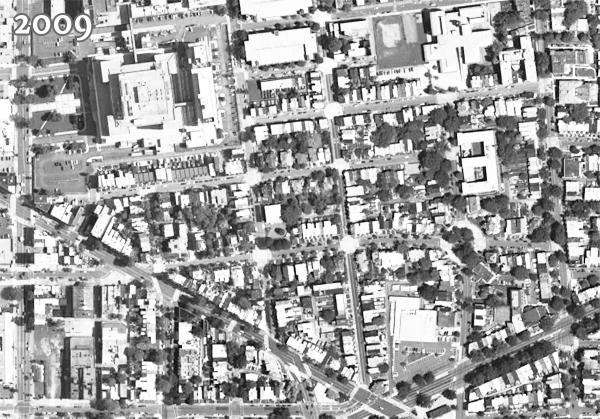 In 1988, the 500 block of U Street looked gap-toothed; new houses have since been built to fill out the entire north side of the street. Street intersections have been replaced with concrete while the roadways remain asphalt. The tree canopy is much more expansive now (or the 1988 photo was taken in the winter). 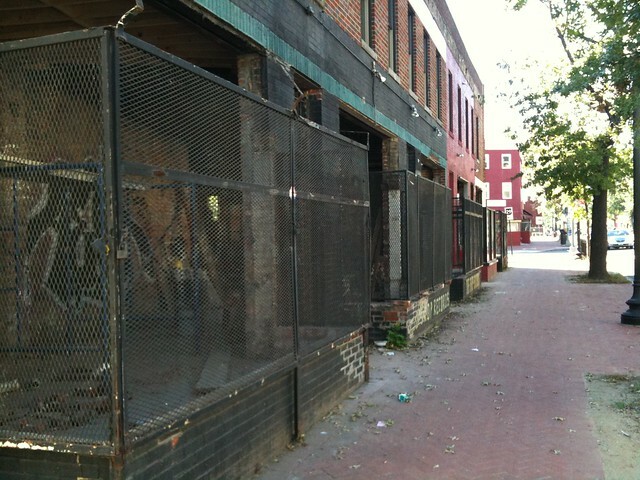 Houses have been built on the once-vacant land around the northeast corner of Fourth and U Streets. The intersection of T Street, Sixth Street, and Florida Avenue has been reconfigured, making way for the pocket park home to the LeDroit Park entrance arch. The Schoolhouse Lofts condo building has since been built at Second and V Streets. Careful observers occasionally spot the old street signs adorning a few of the light poles in LeDroit Park. When the neighborhood was originally planned, most of the streets were named after trees. 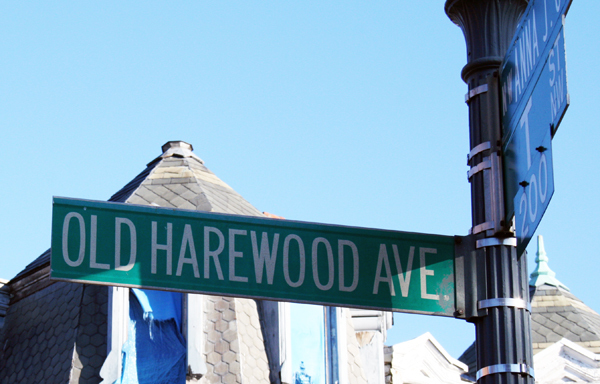 LeDroit Park’s street system didn’t fit with the L’Enfant Plan in either name or alignment—much to the dismay of the District commissioners—and the street names were eventually changed to fit the naming and numbering system. A perusal of old maps reveals that the street names changed over time, not all at once. Elm Street is the only street that has retained its name. Since your author lives on Elm Street he has learned to respond to puzzled faces that know that Elm doesn’t fit the street naming system: “It’s kinda like U-and-1/3 Street”. Anna J. Cooper Circle didn’t have a name at all until 1983, when it was restored to its circular form after a decades-long bisection by Third Street. Just outside of LeDroit Park, the city renamed a few streets as well: 7th Street Road became Georgia Avenue and Boundary Street, the boundary of the L’Enfant Plan, became Florida Avenue. Here is a table matching the current street names with their previous names. * For a short period, 4th Street was called 4½ Street. ** Though these streets were just outside the original LeDroit Park, we have included them for reference. Unfortunately, some of the signs are showing their 33 years of weather, as this sign at Third and U Streets shows. White text on a brown background is the standard for street and highway signs pointing to areas of recreation or cultural interest. Seattle started using the color scheme to mark its historic Olmsted boulevards and New York has long used the combination for street signs in its historic districts. The adoption of this style of sign would alert visitors and residents to the neighborhood’s historic identity while the different color and typeface would prevent confusion with the actual street names (U St NW in this case). Typographers would be pleased by the use of Big Caslon Medium, a serif typeface based on the centuries-old Caslon typeface. 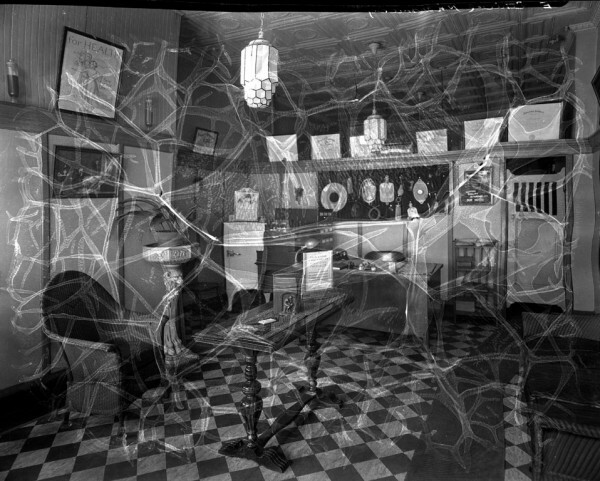 Hall, Ruth C. “Historic Project”. Washington Afro-American. 1 May 1976.